Mark Hamsher is an independent, self-employed arbitrator who has no connections with any law firms or barristers’ chambers. He has handled well over 1,000 ad hoc and institutional arbitrations, more than 12 arbitrations for the Chambre Arbitrale Maritime de Paris and more than 10 for the International Chamber of Commerce. About 25% of the arbitration appointments have been as sole arbitrator or as chairman of the tribunal. The general commercial disputes have included ones arising under a broad range of joint ventures as well as trading in oil and oil products, steel and metals, coal, grain and other commodities. The shipping arbitrations have covered the complete spectrum of shipping contracts, including disputes arising under charterparties, bills of lading, sale and purchase contracts, contracts of affreightment, shipbuilding, ship repair and scrapping contracts. He has also handled disputes involving most aspects of the off-shore industry. 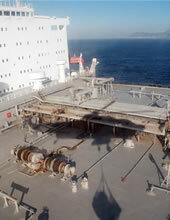 He has also dealt with disputes arising in the liner industry such as ones under agreements for joint ventures or consortia, slot charter arrangements and agency disputes. Although most of the arbitrations have been heard in London, some have been held abroad and Mark Hamsher is happy to conduct arbitrations abroad. He has carried out neutral evaluations. He is also a trained mediator, available for mediations. He is a regular speaker at congresses and seminars in London and abroad.